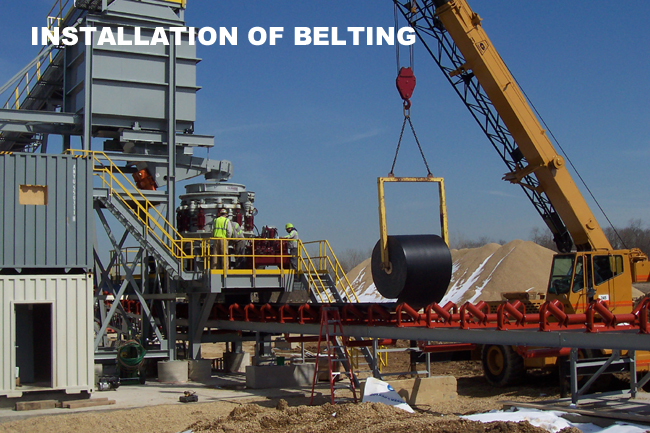 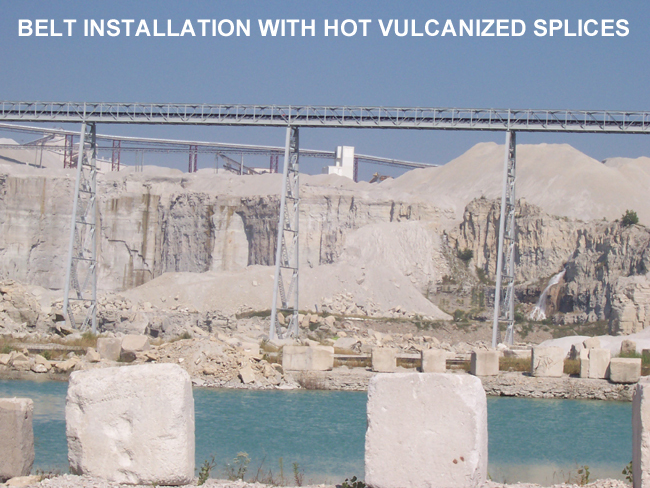 As belting suppliers and contractors, we currently provide new belt supply programs to companies in the steel industry, utilities and aggregates. 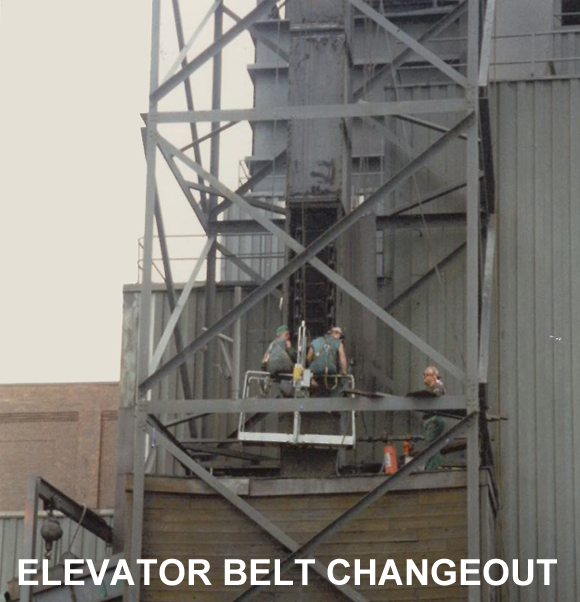 Belt stored in-house with 20 ton overhead crane for easy handling and proper storage. 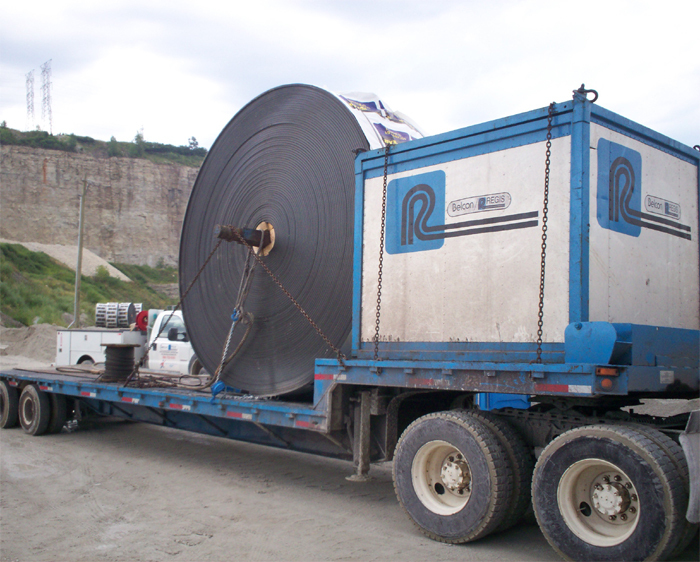 We are centrally located and available 24 hours a day, 7 days a week for delivery with our company owned trucks. 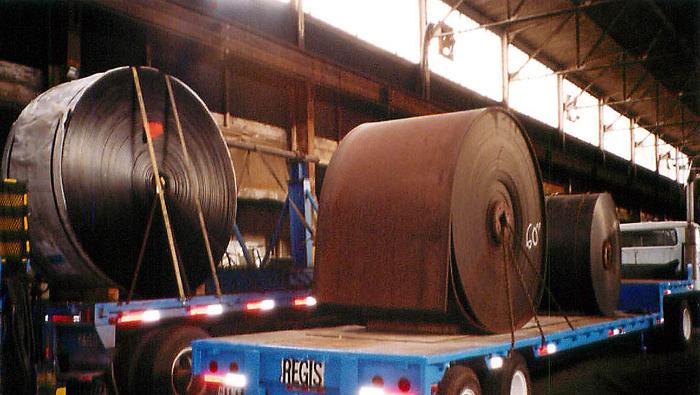 To complement the belt supply program, we can collect and maintain your specs of belt systems at all your plants, developed from our physical system inspection reports prepared by our inspection technicians. 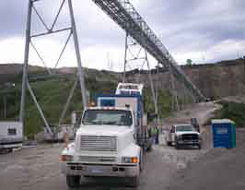 With this system knowledge and service maintenance contracts, we can provide a cost effective program for your conveyor operations. 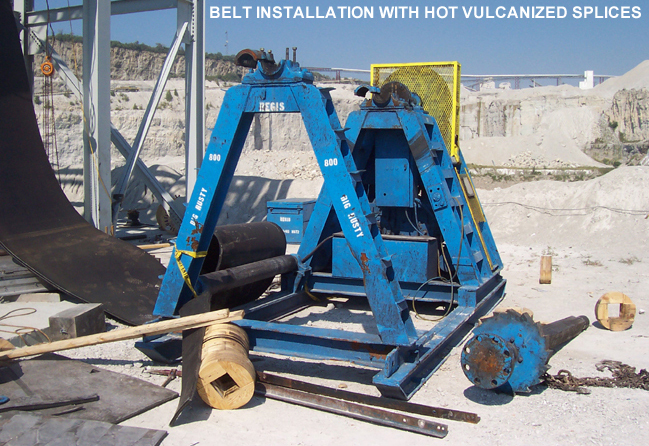 We perform complete "Turnkey" services of belt installations, repairs, splicing, slitting, "In-Place" pulley laggings and system maintenance. 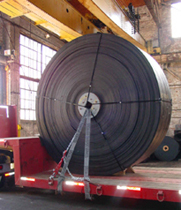 We have power belt winders, unwinders, vulcanizers and a full complement of required tools, equipment and trucks to service your conveyor system needs. 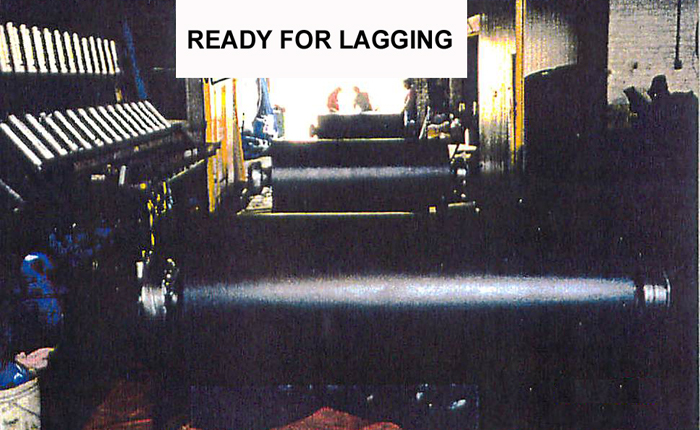 We are one responsible source with the ability to perform in a most efficient manner when it counts. 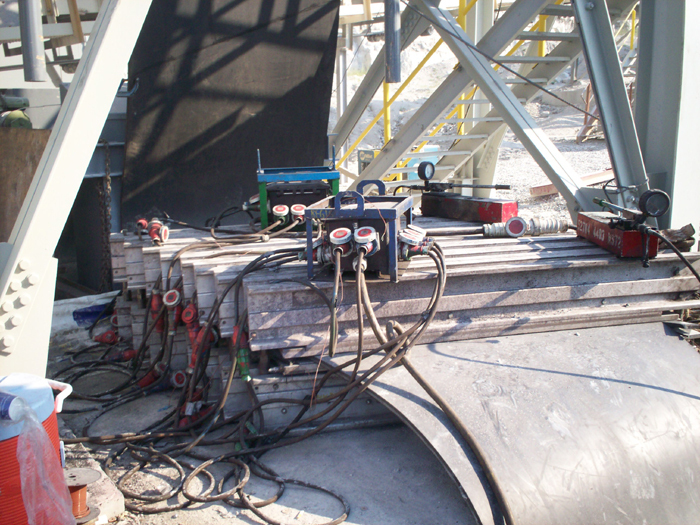 Our technicians are union, however, we train our own technicians to maintain a constant employee base to provide quality service. 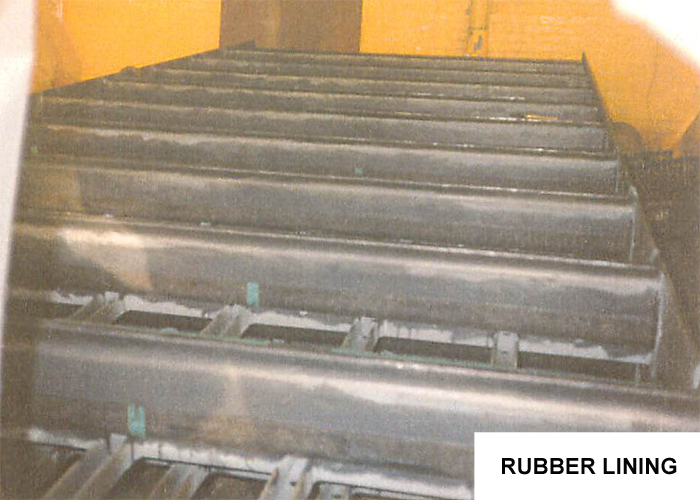 Our rubber linings for corrosive and acid resistant environments are applied with the chemical cure process using chlorobutyl or natural rubber applicable to conditions. 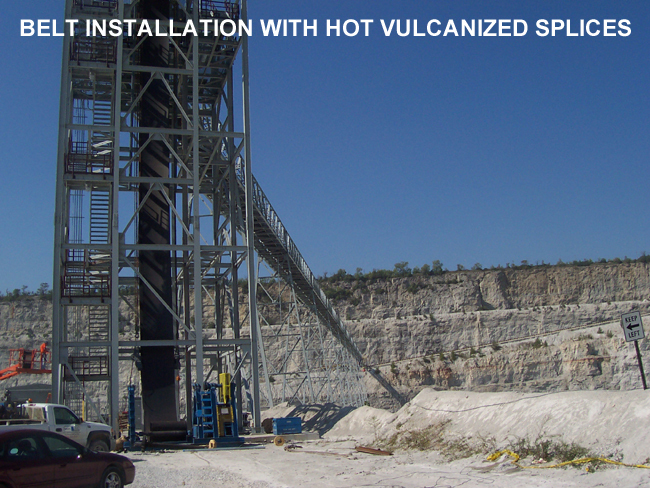 Also, we have capabilities to spark test all applications. 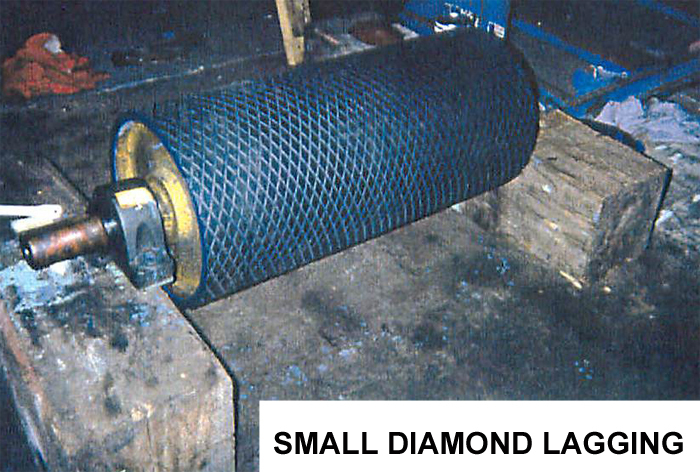 Our method of preparation is to strip the substrate lining (if required) by air chippers, hand strippers and/or heat if allowable. 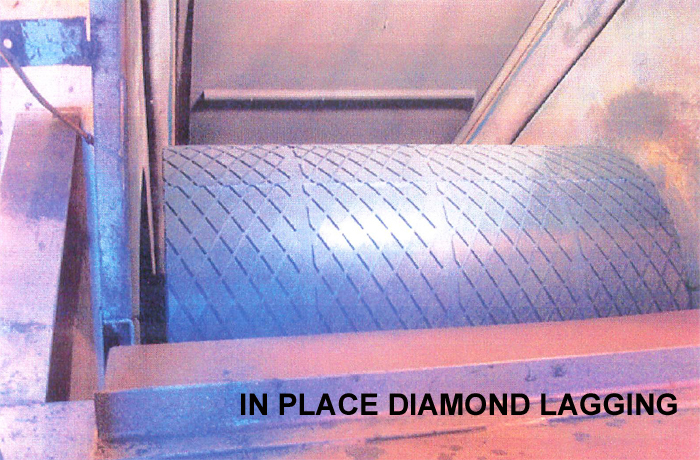 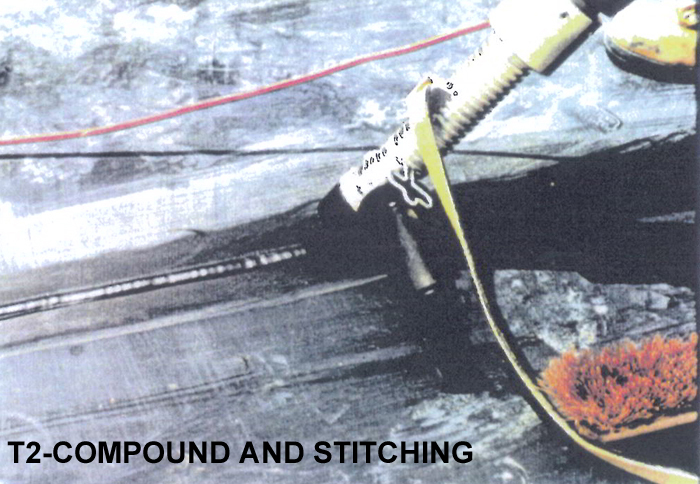 With substrate stripped we proceed with blasting process or grinding method to achieve a bonding profile. 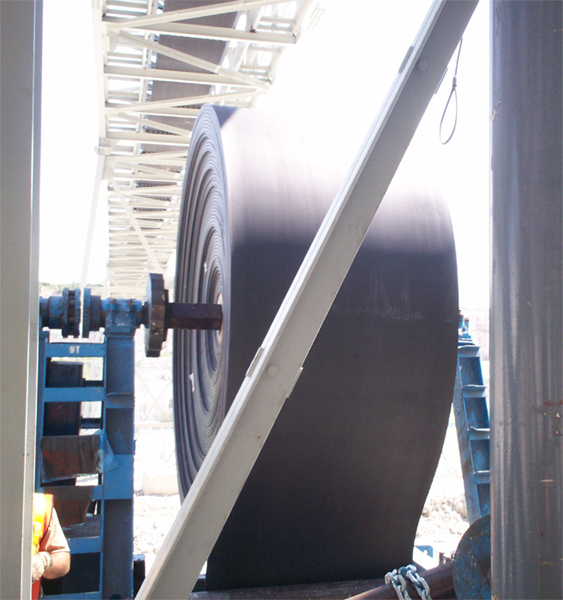 After profile is achieved, whether it be steel or existing rubber we proceed with primers, adhesives and applications of linings for completion of the work. 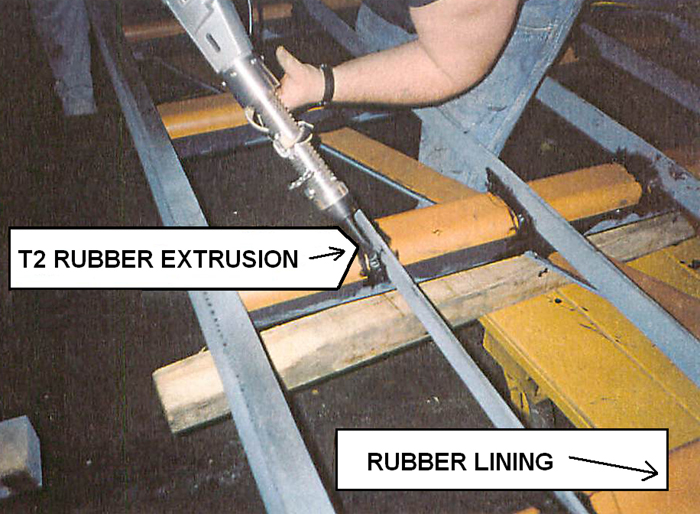 For areas of wear and abrasion we can install proper linings of rubber, ceramic, or urethane by mechanical fastening or cold chemical vulcanization. 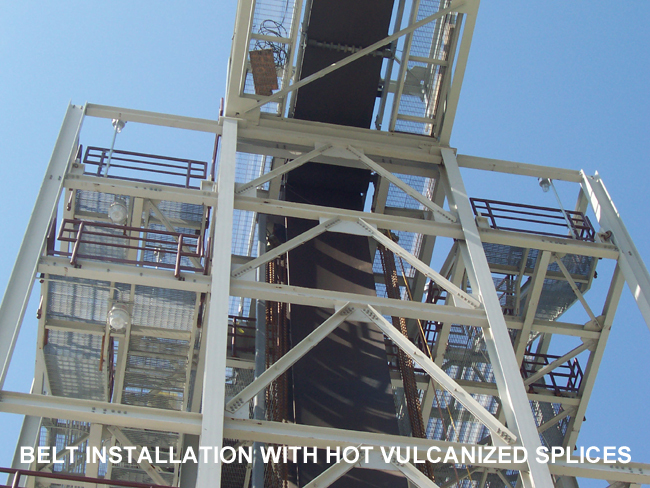 For an economical solution to lagging problems, our Design Expertise and Technicians are available to make recommendations concerning your material handling operation. 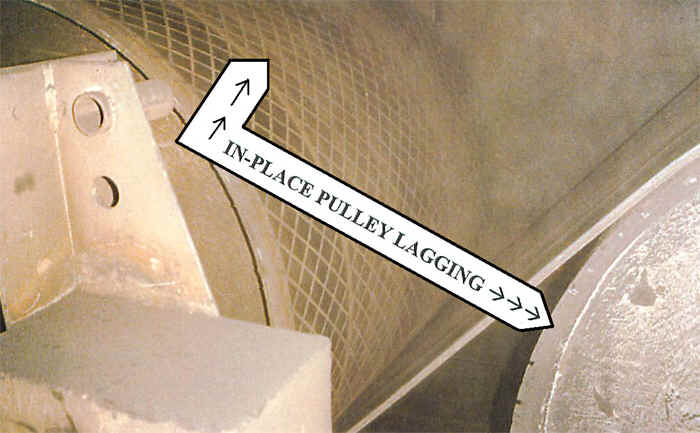 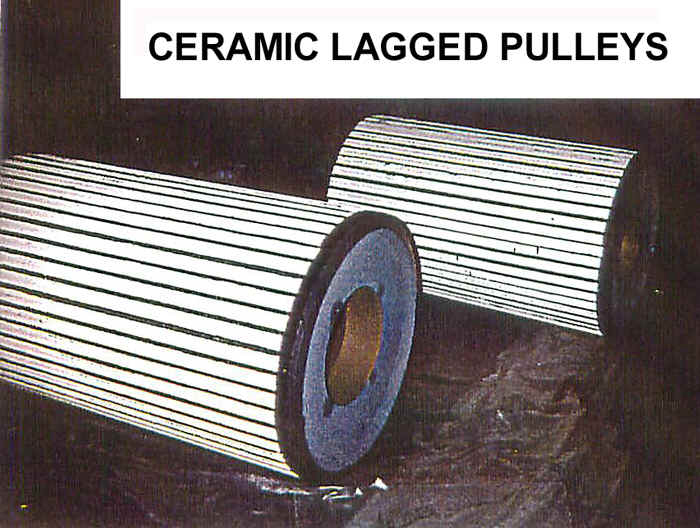 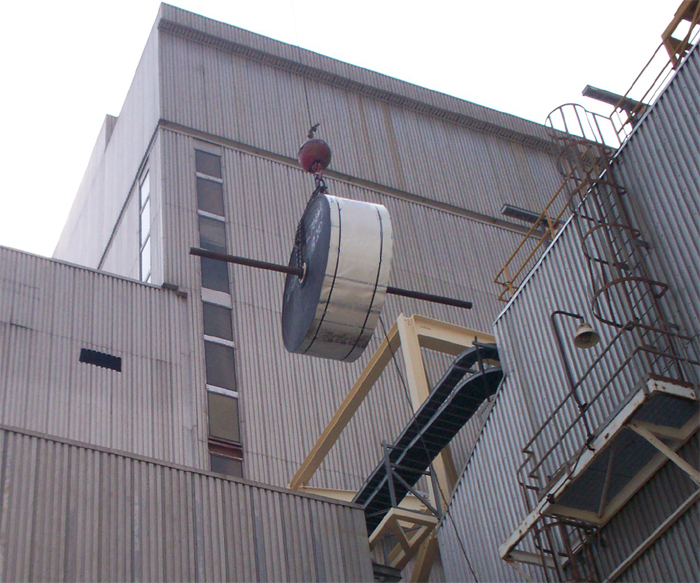 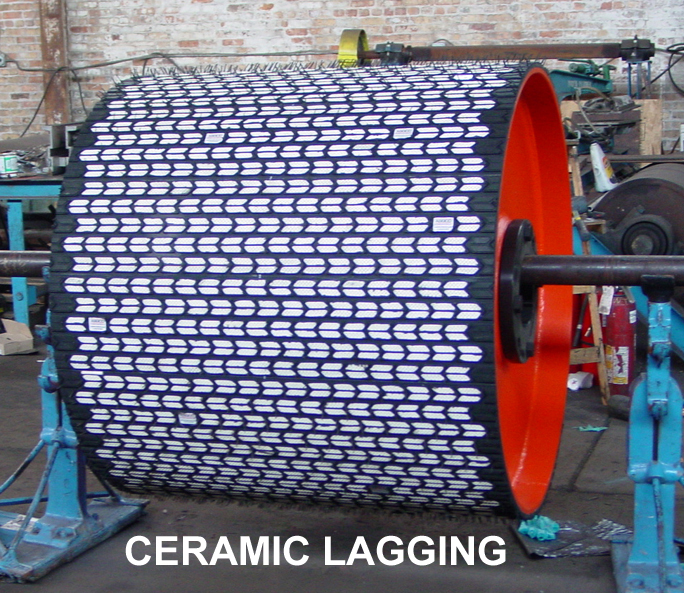 Lagging pulleys with rubber avoids caking. 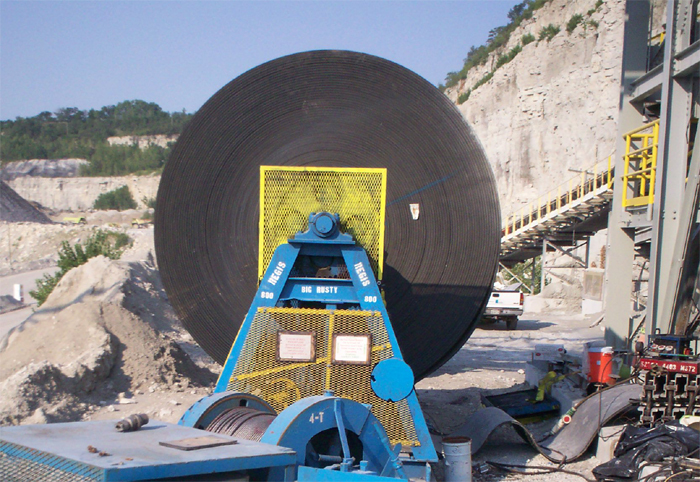 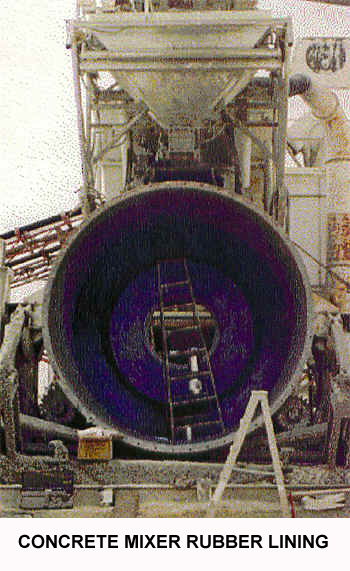 The drum is protected by rubber cover against corrosion, especially where very abrasive and chemically aggressive material is being conveyed.